GAZA CITY, Gaza Strip (AP) — Palestinian militants ceased rocket attacks from Gaza into Israel and relative calm prevailed Saturday afternoon after a night-long exchange of fire that prompted Israeli threats against Iranian forces in Syria. The Islamic Jihad group, a militant faction operating in the Hamas-ruled Gaza but that has close ties to Iran and Syria, said they agreed to Egyptian mediation efforts and halted the rocket fire, the heaviest to emanate from Gaza in months. 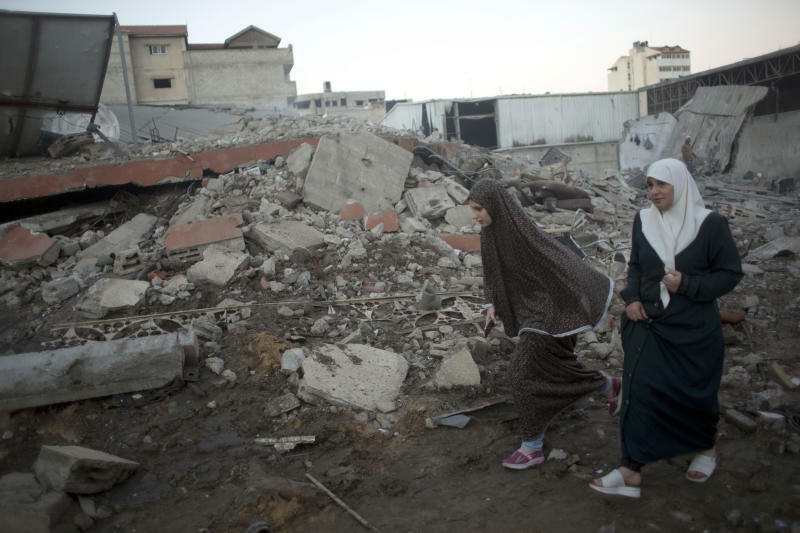 "The Egyptian efforts led to understandings to restore calm to Gaza Strip. We appreciate the Egyptian endeavor and hope for all kinds of (Israeli) aggression to stop," said Khaled al-Batsh, an Islamic Jihad official. 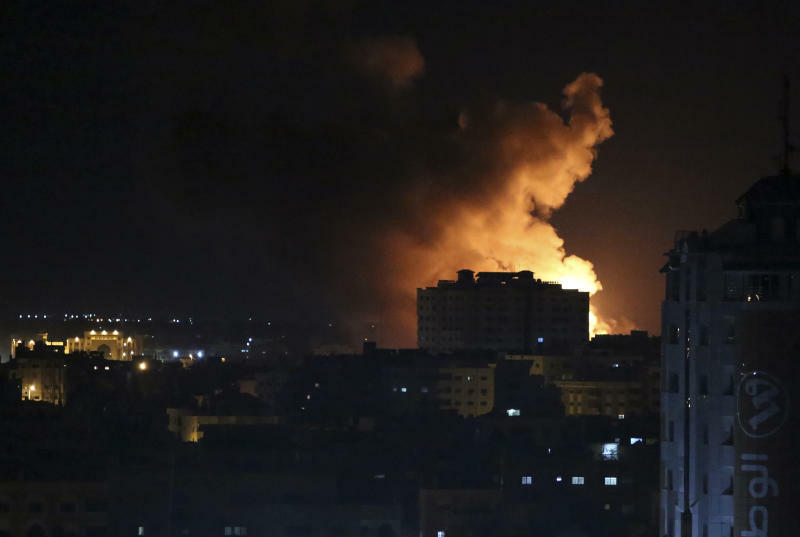 Hamas, the larger militant group that controls Gaza, accused Israel of resorting to military escalation "to evade obligations" of a comprehensive cease-fire that Hamas has long sought. Hamas wants the deal to end a crippling Israeli-Egyptian blockade on Gaza. There has been no immediate comment from Israel on truce. It has said its fighter jets struck dozens of targets across Gaza and accused Iranian forces in Damascus of orchestrating the barrages. Lt. Col. Jonathan Conricus, an Israeli military spokesman, said that 34 rockets had been fired at Israel throughout the night. Israel's Iron Dome rocket-defense system intercepted 13 rockets, two landed in Gaza and the remainder fell in open spaces in southern Israel, he said. In response, Israel hit over 80 targets in Gaza. Conricus said Islamic Jihad had fired the rockets under instructions from Iran's Al Quds Force based in Syria and said that Israel was considering taking action against the Iranians in response. "We have seen and established a clear link between Gaza and Damascus," he said. "We know that the orders, incentives were given from Damascus with the clear involvement of the Iranian Revolutionary Guard Quds Force." Israel and Russia have maintained a hotline to prevent their air forces from coming into contact with one another over Syrian skies. Israeli media have reported that Russia has become less cooperative since the downing of the plane. The fighting in Gaza followed a bloody day of border protests Friday in which Israeli forces shot and killed four Palestinians protesting along the perimeter fence dividing Hamas-ruled Gaza and Israel. A fifth protester succumbed to his wound Saturday, the Health Ministry said. Egyptian mediators have been trying to prevent a full-blown conflict between Hamas and Israel for months. 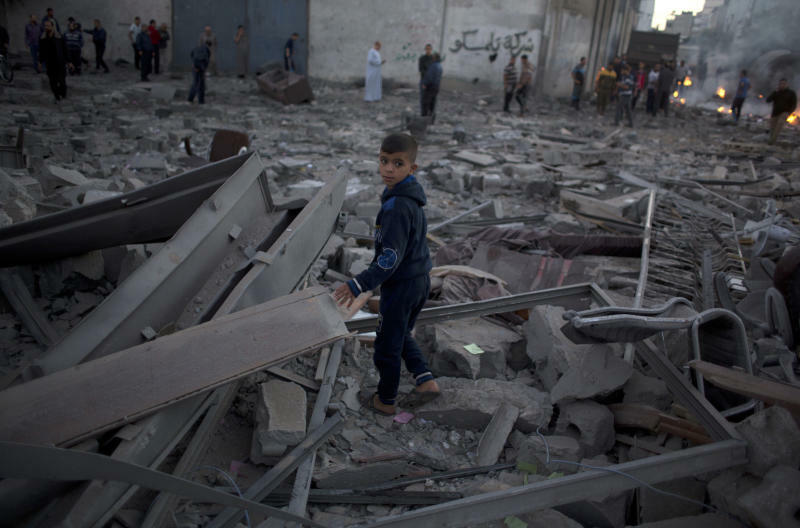 Conricus said that Israel had struck over 80 sites across Gaza, including training camps, weapons storage facilities and a Hamas security headquarters building. COGAT, the Israeli defense body that handles Palestinian civilian issues, said one of the rockets hit an ambulance crossing used to transfer Gazans out of the strip in emergency humanitarian cases. "To what low have the terrorist organizations in the Gaza Strip reached?" wrote COGAT commander, Maj. Gen. Kamil Abu Rukun, on his Arabic Facebook page. But in northern Gaza, the Health Ministry said that the main hospital in the area was damaged after a nearby Hamas training camp was hit. Footage showed cables and wires dropping from collapsed ceilings in the wards. Egypt wants to restore calm in order to pursue the broader goal of Palestinian reconciliation between Hamas and the West Bank-based administration of President Mahmoud Abbas. The internationally recognized Abbas lost control of Gaza in 2007.